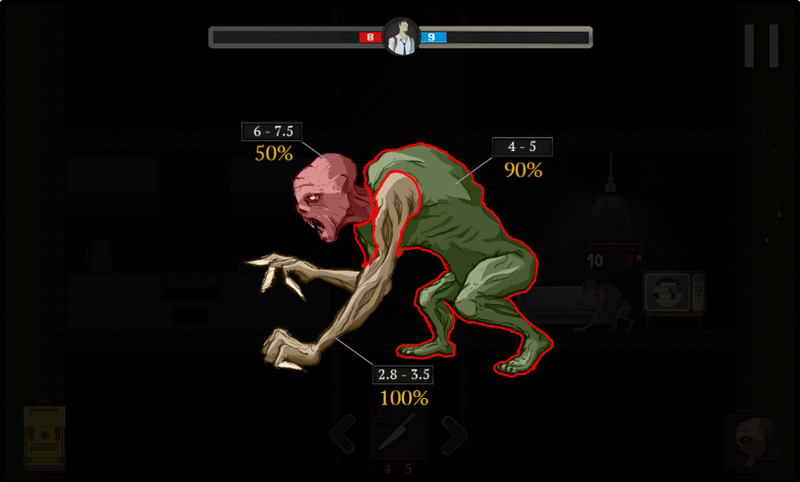 In Skyhill, you control one person (multiple characters are said to be in the final version) and trek from room to room, scavenging for supplies and fighting mutants. In shelves, drawers, and on desks you will find weapons and other objects that you must craft together to get past puzzles. In the demo, you are blocked by a security door and must first put together a card scanner, a battery, and a code book in order to program a card to get past. Making your way through Skyhill is dangerous. Everything is out to kill you (which is easy to do), and your stamina is weak. It’s clear that your character did not spend those three months in blissful relaxation working out. Every action depletes your stamina bar, and food, which restores stamina, is in scarce supply. I finished the demo after a number of attempts, most of the re-attempts being due to a low amount of stamina. Your reward is to be treated to “Ain’t He Sweet” by Annette Hanshaw for some bizarre reason. I experienced an amusing bug that I couldn’t recreate. After one of my deaths, the character spawned outside of the building. He couldn’t go anywhere and when he tried to move to new floors, he just jogged in place. One final note: I really liked the music of the demo stage. I walked a way for a bit while the Unity player loaded and came back, wondering if I had left a music player open. Nope, it was just a pleasing game soundtrack. What Worked: In combat, you’re given a likelihood percentage of landing a targeted attack that does X amount of much damage depending on where you hit. This leads to a risk vs. reward system that actually feels rewarding. What Didn’t Work: The demo may be overtuned. While I enjoy a challenge, running out of stamina so quickly was a huge source of frustration. I’m not quite sure the system needs to exist at all but it’s hard to be certain when one is given such a small window to see the game from via the demo. 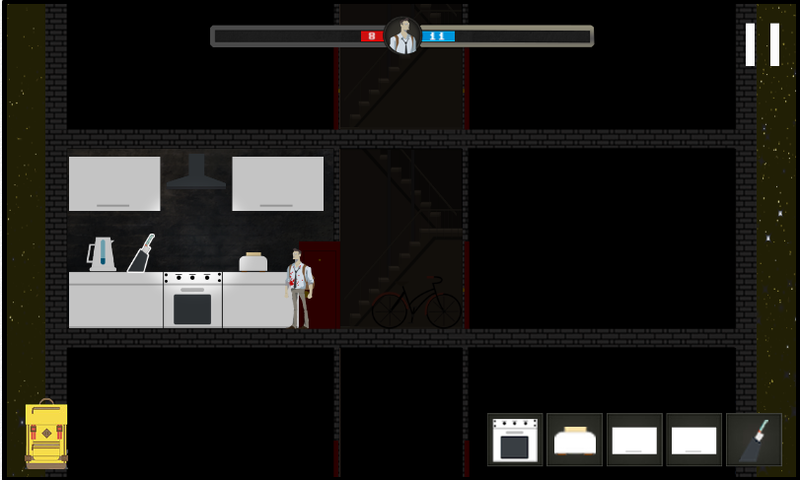 About the Game from the Dev: Skyhill is a roguelike story about staying alive when there is no reason to. It’s been developed for PC, MAC, LINUX and mobile devices.